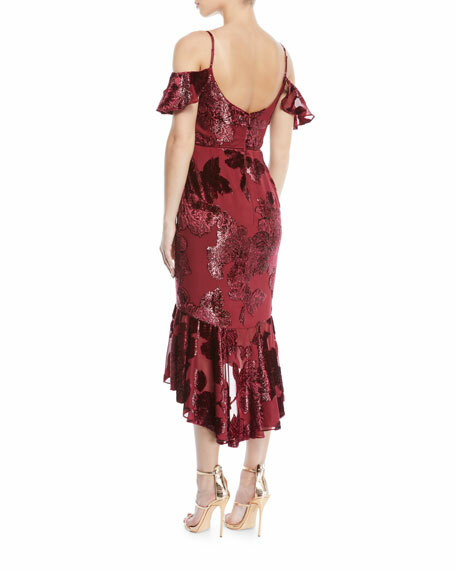 Marchesa Notte velvet burnout dress. Ruffle short sleeves; cold shoulders. 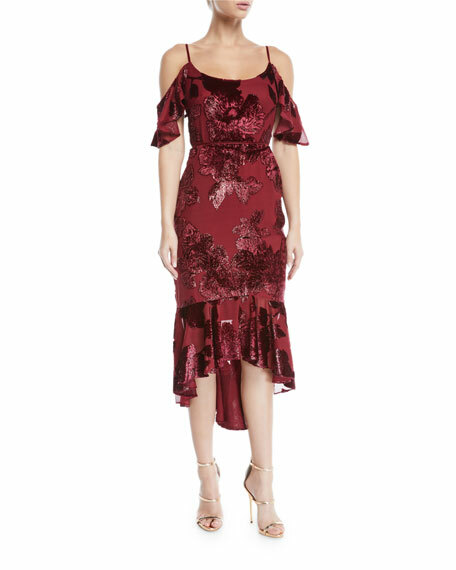 Model's measurements: Height 5'9" / 175cm, bust 32"/81cm, waist 23"/58cm, hips 35"/89cm, dress size US 2.